Identification: Sexually dimorphic: female much larger and lighter in color. 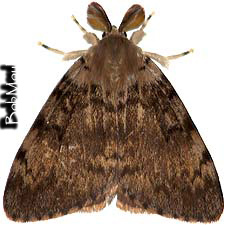 Forewing brown with yellowish overlay in male. 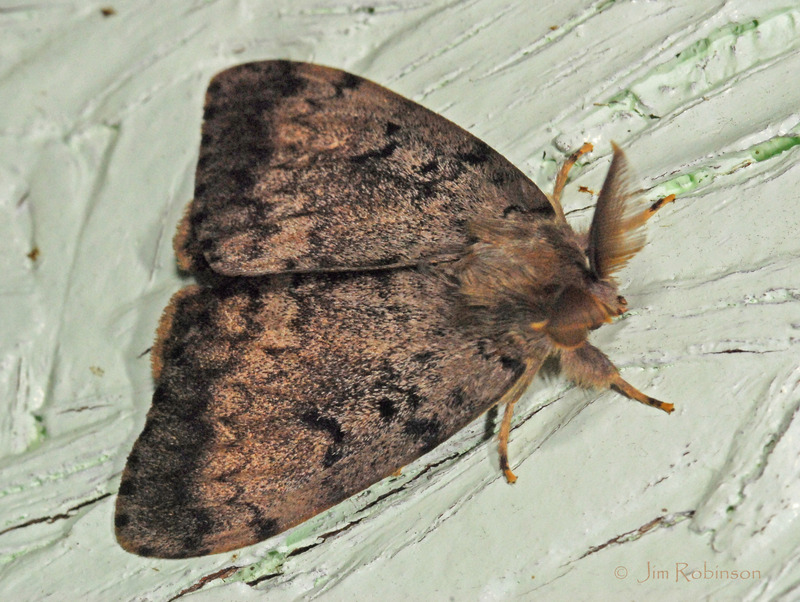 Hindwing yellowish to reddish brown. 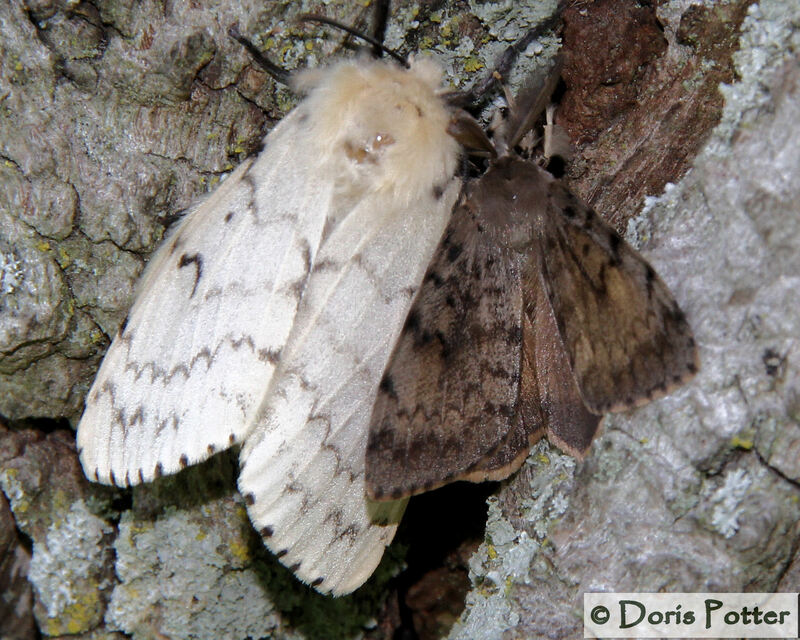 Reniform spot consists of three black spots (usually merged) in both sexes; black orbicular dot also present. 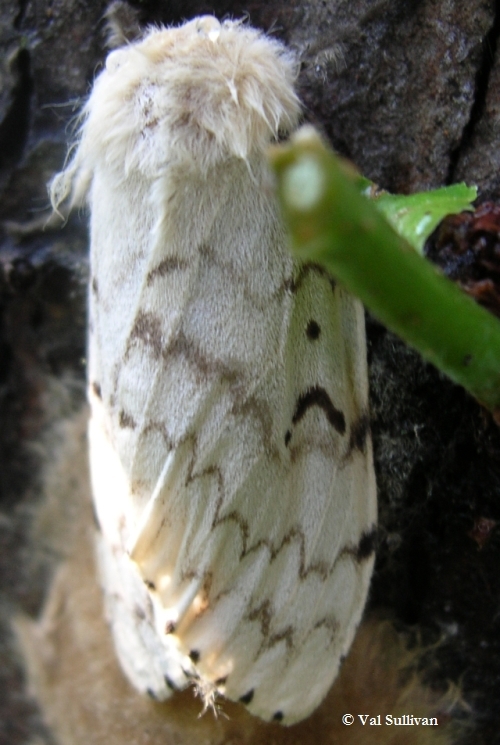 Wings whitish in female, with deeply scalloped gray lines and black spots. Terminal line a series of black dots on forewing and hindwing. Wing Span: 3-4 cm in males; 5.6-6.7 cm in females. 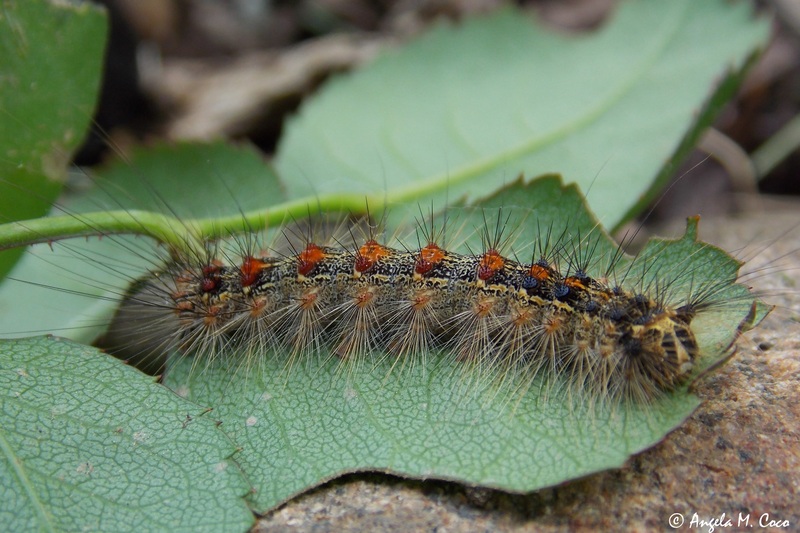 Life History: Larvae can defoliate large tracts of forests in peak years. 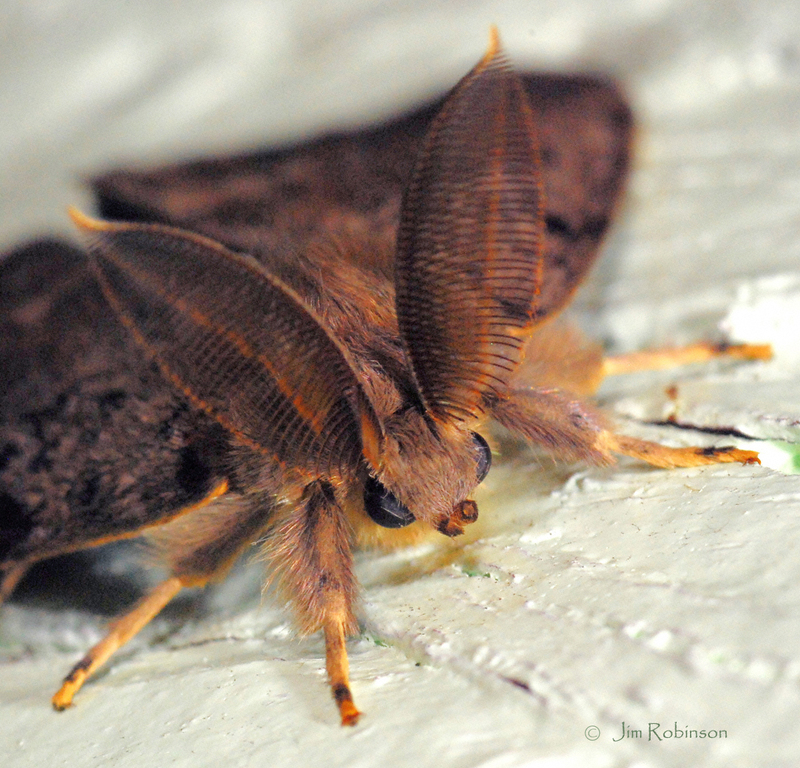 In woods where larvae are numerous, you can actually hear them feeding. 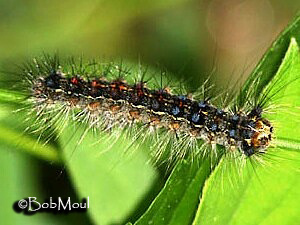 Caterpillar Hosts: Oaks are preferred. Also alder, apple, basswood, birches, box elder, hawthorn, hazelnut, larch, mountain-ash, poplars, rose bushes, sumac, willows, and witch-hazel. 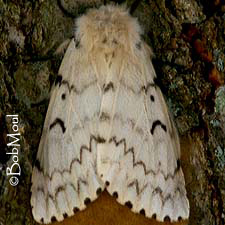 Range: Deliberately introduced from Europe at Medford, Massachusetts in 1868 or 1869 by Leopold Trouvelot, who hoped to raise this moth for silk production. Now, established from Nova Scotia to North Carolina and Florida, west to Michigan, Illinois, and Missouri. Range is expanding.